Kumul Lodge is a great destination for those with an interest in New Guinea history and culture. Apart from the beautiful countryside with waterfalls and wooded mountains the local villages provide a fascinating insight into a unique way of life still following very much a traditional life style. New farming initiatives such as coffee growing show how things are slowly changing. Village orchid gardens are a new sideline and the one at Kumul Lodge is well worth a look. 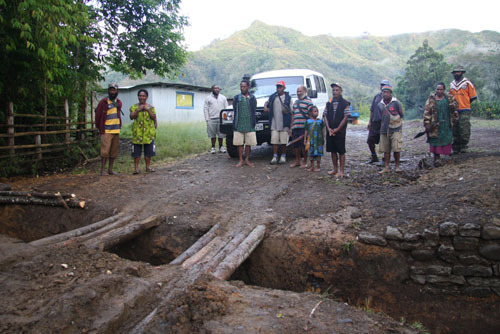 A traditional earthhole meal (Mumu) can be arranged on the grounds of the Lodge. Please contact reception for date and pricing. If you would like to experience village life close up the it is possible to arrange a safe and enjoyable village stay here. Sing-sings (traditional dancing) can be arranged and you can take part in a face -painting ceremony. The ubiquitous locally handmade, woven string-bags or bilums are available for purchase. Visit the village market and the local gardens where sustainable organic farming methods are used to provide food for the village. Visiting the local orchid gardens. Tonga is the 3rd largest village in the area. It has the Rural Health Centre and the Community School. The local market offers goods from around the local area. The impressive Tonga Waterfall can be seen from the roadside. 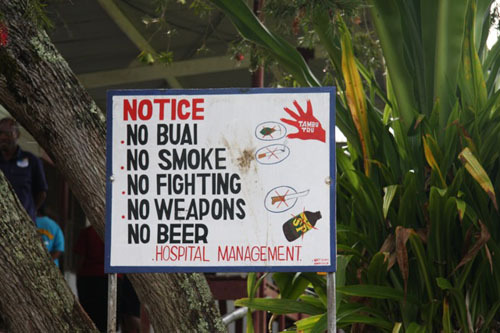 Here we find the Rural Hospital which can cater for Kumul Lodge Visitors. It is the 5th largest village in the area and has the Pioneer High School. The official local airstrip can be found at Kama. Here coffee is farmed in areas overlooking the Lai River valley. There is a community market and bilums are made and sold here. This is the site of the official provincial airstrip and is the district headquarters of the Wapenamanda area. Visits to the local coffee processing factory can be arranged. It is the site of the oldest Mission stations to be found locally.